A throwline or throwbag is an essential item of white water safety equipment, that every white water paddler should carry. Available in various lengths and rope diameters for a wide range of applications from rescuing swimmers through to building pulley systems. We recommend that you seek training to ensure safe use on moving water. The HF Weasel is an extremely compact throw bag with 18m of 7.5mm high-quality floating rope. It has good handling characteristics and is easy to repack. If space within your boat is at a premium then this bag may be the one for you. 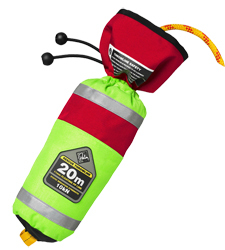 The Weasel fits into the smallest kayak or can be fixed and carried on a waist belt if required. The Palm Pro Throwline Series employ the clean line principle with a detachable easy-to-handle floating rope, and can be secured to waist belts using the integrated attachment loops. 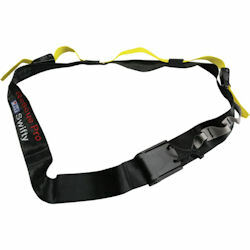 These throw lines are used for rescuing swimmers by raft guides, white water paddlers, lifeguards, swift water rescue technicians and the emergency services. Featuring a floating bag, and easy to handle, strong (10KN Static Breaking Strength) 11mm floating line. 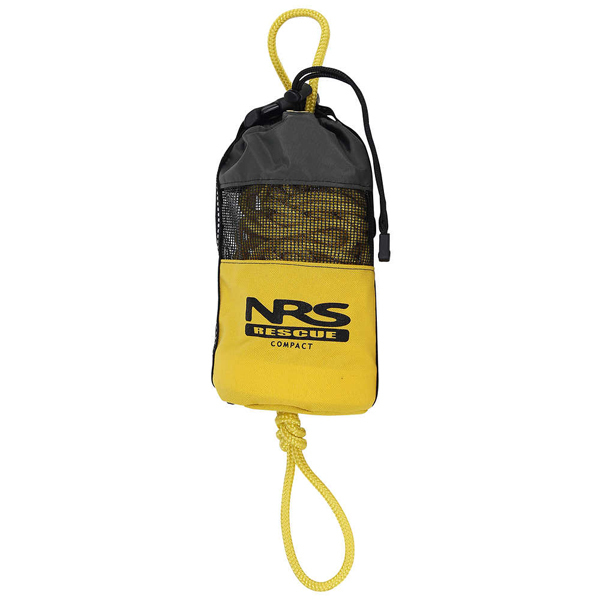 The 9.5mm floating rope that Peak use in all sizes of bag makes for easy griping when on the receiving end of a bag, easy handling for the trhower and when using as part of a rope system. 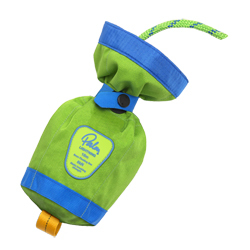 The bag shape and design lends itself to easy throwing and repacking. Quick to deploy, and easy to re-pack, the 18 metre Lightning from Palm Equipment is lightweight and accurate. The floating 8mm line has a breaking strain of 8 KN and uses Palm's Quickclip attachment, and also a magnetic clasp for simple use, even with cold hands. Don't get stuck in a potential rescue scenario with your throw line still in your boat. This simple piece of kit is a safe way to ensure that your personal throw line is always close at hand. 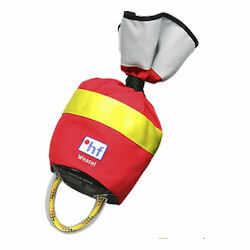 The HF Swifty Pro is a waist-mounted belt system for carrying a throw bag. Ideal for carrying the HF range of throw-bags, the Swifty will help to make it easier and faster to deploy your throw bag in an urgent rescue situation, and the double-ended strap with quick-release buckles means that it is usable with either hand. A throw line is a very important piece of safety kit, especially in the white water environment. The HF Compact Series are well proven, popular worldwide, thanks to them being easy to use and pack away, with a large neck and quick-release system for easy access. The rope is easy to handle even with when your hands are cold. Also available with Syntec (Dyneema) line- please contact us for price and availability. Available to Order, Please Contact us for a Lead-Time.